Nothing a Cupcake Can’t Fix | katie lou & other things too. The description really doesn’t do the show justice. I mean the people who compete on this thing are freaking masterminds of the kitchen. The concept is simple, you are given a basket of four random ingredients, and in only 30 minutes you are expected to make a dish that brings these four ingredients together. Simple enough, right? Well the selected ingredients are far from simple. Those baskets always contain things you wouldn’t even think of putting together. Half of things selected are things I have never even heard of, and probably never would have otherwise. For an example we all should understand, on one episode they had to prepare a dish containing the following ingredients: hot dogs, beer, peanuts, and cotton candy. They had to make ONE dish that seamlessly used ALL of those ingredients, and it has to taste good! And the craziest part of it all is that they all manage to do it; they all somehow make a gourmet dish with four ingredients that should not be put together, and according to the judges, they usually taste amazing. Oh, and they do it in under 30 minutes. It takes me that long to microwave a frozen pot pie. By the end of Tuesday afternoon, these culinary geniuses had me inspired. I was determined to become a gourmet chef. I pictured myself cooking in five-star restaurants for world-renowned critics who all raved over my delectable meals… But then I took a step back, as I remembered that the only thing I have ever cooked on my own is cupcakes. So I decided, maybe I need to be a bit more patient with this cooking thing. 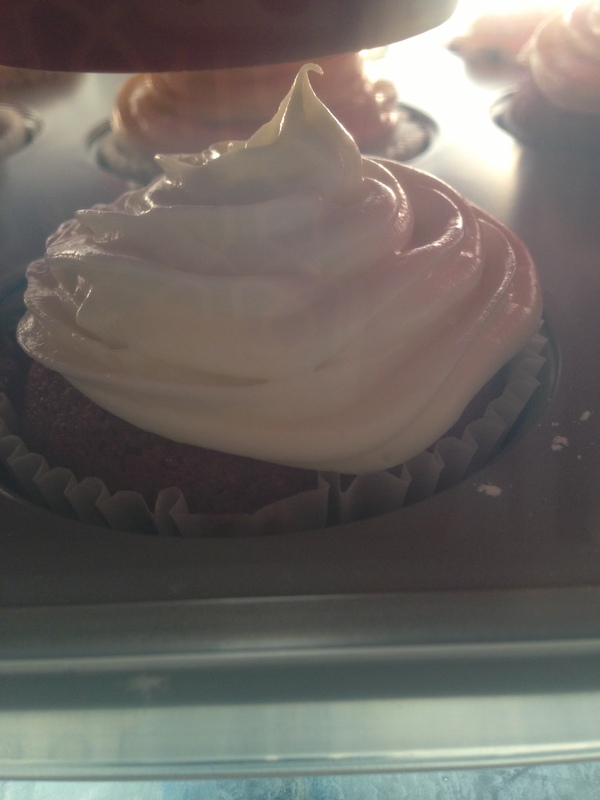 So I did take a small step towards culinary greatness and attempted a more sophisticated cupcake. 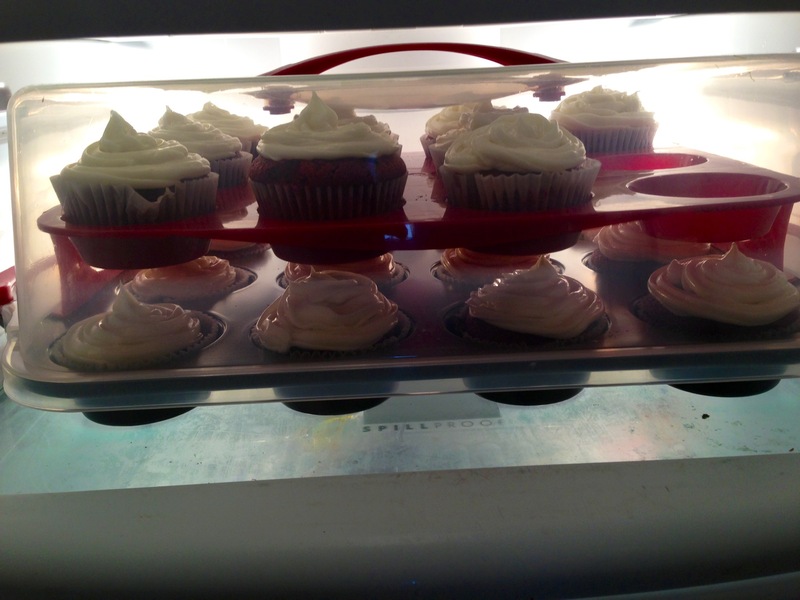 My mom & I made some Red Velvet Cupcakes and I don’t even care if I brag, they were delicious. Maybe not “Chopped” worthy yet, but I’m getting there. Hey, this really is a big step for me. It was my first time not using batter from a box, we actually made it from scratch!! Maybe one day I’ll have my own Food Network show… Or more realistically, maybe one day I’ll be able to make more than a cupcake… Eh, no matter what, not a bad way to spend a week home sick! Try not to drool too much over the pictures 😉 Until next time!! Those cupcakes were as good as anything else!